Master Kurt Wong established Wu Tan Alaska in 1979, as a branch of the internationally renowned “Wu Tang Kung Fu Development Center in Taiwan”. The Center was founded by Grandmaster Liu, Yun Chiao in the early 70’s to help promote the traditional Chinese Martial Arts to the public. Master Kurt Wong, one of Grandmaster Liu’s disciples, is carrying on the tradition of Wu Tan in the arctic north. Master Wong was born in Taipei, Taiwan where he spent his youth studying the many styles of Northern Chinese Kung Fu. He studied under his Master Su, Yu Chang and - through him - Grandmaster Liu, Yun Chiao and Master Adam Hsu (please refer to Lineage page for complete chart of the Wu Tan Martial Arts). 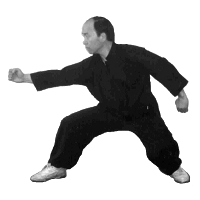 The many styles of Kung Fu Master Wong studied include BaJi Chuan, Pi Qua Zhang, Baqua, Hsingyi Chuan, Tanglang Chuan (Praying Mantis), Chang Chuan (Long Fist), Chen & Yang Style Tai Chi Chuan and various weapons. Master Wong travelled to the United States and began teaching in Fairbanks, Alaska in 1979. He opened the Anchorage school in 1981, where he has been teaching ever since. Master Wong has aspired to bring both the physical and mental benefits of Chinese Kung Fu to all students for over 40 years. Through practice and dedication, a student can develop a strong character, a healthy connection with body and mind and a high level of skill in these Martial Arts. Wu Tang Kung Fu and Tai Chi Institute is currently offering classes in Tai Chi Chuan (both Chen and Yang style), Bagua Zhang, Hsingyi Chuan, Chang Chuan, Tanglang Chuan and traditional Chinese Weapons. Please explore these pages for further information on class offerings and schedules, current events, and the history of Wu Tan Kung Fu. Thank you for visiting wutanalaska.com.